What is Dental Radiography and is it necessary? Dental radiographs, more commonly referred to as x-rays, are necessary to see what lies under the gums and within the teeth and bone. Obtaining good quality dental radiographs and properly interpreting them requires advanced training. Clinical examination of each tooth with dental instruments is also essential, since not all dental lesions are visible radiographically. With dental radiographs, we are able to get a comprehensive look at everything in your pet’s mouth, and address any issues accordingly. What kinds of oral diseases and injuries can be detected and treated by a specialist at VRC? Why is anesthesia necessary for my pet’s dental evaluation? It is impossible to see the entire mouth while your pet is awake as many pets are uncooperative during an oral examination, especially if they are experiencing pain. A thorough evaluation requires dental radiography, a trained eye, and plenty of examination time spent with complete visibility of the entire mouth to spot hidden problems. Our dental specialty service can offer the same thorough evaluation for your pet that you expect from your own dentist. What are the some consequences and side effects of oral disease? Pets will suffer silently with tooth infections rather than appear weak. Dogs or cats that have fractured teeth with exposed pulp will develop pain, even if their behavior does not reflect this. Periodontal disease can also lead to painful abscesses. Studies show that 27% of dogs have fractured teeth, and 9% of these teeth have pulp exposure. Early infections can only be prevented or identified early with a thorough evaluation of the mouth and dental radiographs. Unhealthy chewing habits are a common cause of broken teeth. Never provide chew toys that you cannot break with your hands, or that you cannot dent with your finger nail. If your dog is prone to aggressive chewing, check frequently for broken teeth. In humans, periodontal disease is linked to heart disease, diabetes, and low birth weight babies. Similar links between poor oral health and more serious diseases also exist for our pets. Gum infection and inflammation by-products seep into the blood stream where it negatively affects the liver, kidneys, and heart muscle. The more oral infection is present, the worse the effects. This is why it is so important to have your pet’s mouth regularly evaluated. Oral growths in pets are not uncommon. If seen in time, the treatment prognosis is good. The longer they persist and the larger they become, the more difficult they are to treat. In small dogs, the teeth are disproportionately larger for their mouths compared to big dogs. The resulting dental crowding leads to tooth overlap, rotations, and the creation of havens for trapped infection that fosters periodontal disease (the loss of tooth-supporting bone). This bone loss can cause problems such as spontaneous jaw fractures in pets of any age. Simply looking at the front teeth in an awake pet will give very few clues as to the advanced periodontal disease developing under the gums in the back of the mouth. The dental x-rays that we use can give us insight into the areas of the mouth that we cannot see. Owners frequently remark how playfulness returned to their older pets after the treatment of painful dental disease. If just one bad tooth can ruin your mood, just imagine having numerous painful teeth! What signs might my pet show if they are having a problem with his/her teeth/mouth that requires medical attention? Pets will conceal oral pain as much as possible, so their dental disease may be very advanced before it is noticeable. Eventually, signs such as bad breath, dropping food, jaw or face swelling, loose teeth, pus, gum recession, very red and inflamed tissues, and bleeding can be a clue that they are experiencing pain in their mouth. Are dental procedures painful? Safe? It is impossible to perform necessary gingival probing and dental radiographs without anesthesia. Anesthesia, local nerve blocks, pain medication, and meticulous surgery all are part of minimizing discomfort. Properly performed and monitored anesthesia with intravenous fluids and body temperature support is extremely safe. At VRC, we have extensive experience performing dental procedures with anesthesia on pets from all walks of life. Ultimately, your pet’s long term health and comfort is greatly enhanced by eliminating dental disease. The one bad tooth you’ve noticed in your pet’s mouth is often the tip of the iceberg in terms of what dental disease is present. 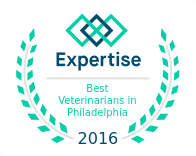 After the oral assessment and dental x-rays, the findings are discussed with you (while your pet is under anesthesia) before any surgery. Please keep in mind that it may require several hours to correct a lifetime of progressing disease. That is why safe anesthesia is our highest and first priority, and why we are so often entrusted by referring veterinarians to handle their older, smaller, and medically frail patients.